LOOKING FOR VALUE? 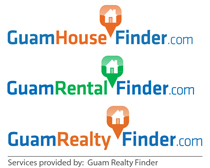 Look no further, here is a rare Fee Simple condominium in the heart of Tumon. This corner unit is located on the 1st. floor. Everything will be at your fingertips when you own this 3br/2ba condo in central Tumon just minute from the waters of Tumon Bay. Call us to see this convenient San Vitores Village Condo.